First of two public events in Shepherdstown, at The Station in Shepherdstown, a classic train station that has been re-purposed as a venue available to the public. Another public event was on Monday, September 18, from noon till 2 PM at Maria's Taqueria in Shepherdstown. Enjoy Colombian traditional harp music while dining. FREE recital, 6:30-7:30 PM. All welcome! Paraguayan harp music. Latin American harp music traditions are very strong, but they are almost unknown in the US. The Paraguayan style is perhaps the best known. Others are the Mexican Jarocho and the Venezuelan-Colombian Llanero styles. Nicolas Carter is a world-class performer. He is returning to Morgantown, where his appearance two years ago was very well received. At West Virginia University's Creative Arts Center in Morgantown, WV. Free!! No musical experience necessary. We will have several extra harps on hand, or bring your own. Almost Heaven Harp Circle members will assist beginners while others are working with Nicolas on more advanced technique. Jaime Castillo has delighted audiences in New York for over 30 years as a soloist, musical ensemble musician, teacher, and arranger. Born in Bogotá, Jaime began performing at age 15, in his native Colombia. Please pre-register with John Kovac, Harpmaker, 540-635-2534 or kovac.jg@gmail.com. On the web at johnkovac.com. Suggested donation $25. In Bogotá, Colombia, September 9-12, 2015, a workshop and concert program, see Facebook Maestros del Arpa and/or Academia Llano y Joropo. 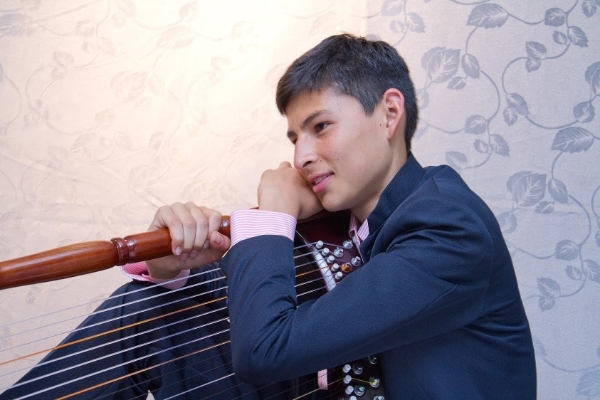 This program includes two days of workshops and two concerts, featuring many performers in four harp genres: celtic, classical, paraguayan, and arpa llanera. Since 1995 Harping for Harmony Foundation has sponsored many events with harpists from the US, Europe and Latin America.